A friend shared with me his nightmare. He dreamt of an evil person laughing and saying that he has planted many false masters all over the world. There are so many scandals involving spiritual leaders that I am not surprised that he had that nightmare. It can be disappointing when a spiritual teacher we trust gets involved in a scandal. When that happens, it is tempting to say that the spiritual path is garbage and abandon it altogether. If one does that, one does not have spiritual independence because one is not able to separate the teacher from the teaching. Paramhansa Yogananda met his first disciple, Pratap, when he was challenged by his brother, Ananta, to take a trip from Calcutta to Bridaban and return, without any money. Pratap had a dream of Lord Krishna the night before telling him that he will meet his Guru the next day and gave him a vision of Yogananda. True to the vision, he met Yogananda the next day and brought him touring in Bridaban. He was later accepted as a disciple by the Master. 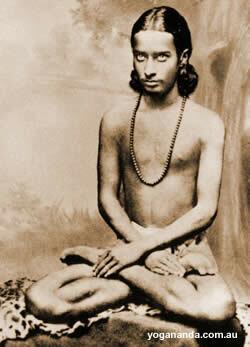 After initiating Pratap into Kriya Yoga, he said, “Kriya is your chitamani (the gem with power to grant desires)….Be faithful in your practice; you will approach the Guru of all gurus”. Even if the teacher makes a grave mistake in his life, it does not mean that the teachings he gave was wrong or a waste of one’s time. A teacher is also human and may make errors in judgment. Even the Jhanavatar, Sri Yukteswar, in his humility, said to Yogananda when they first met, “If ever you find me falling from a state of God-realisation, please promise to put my head on your lap and help to bring me back to the Cosmic Beloved we both worship”. If a Great Being like Sir Yukteswar is concerned about straying from the path, what more normal human beings who have just glimpsed the truth and are helping others as teachers. Everyone makes mistakes and we cannot expect it to be otherwise. No one should be burdened with the expectation of being flawless. So, whenever we hear about scandals involving spiritual leaders, may we not be disheartened. May we persevere in our practice and live the life of a householder yogi as an example to our children. Osho said that the role of a Guru is to help us find the Guru within and once that is done, his job is finished. Maybe, just maybe, the Divine may have to send us an insincere Guru to lead us to our inner-guru. By being insincere, the Guru has also done his job of helping us find our Inner-Guru! Wonderful, get attached to the teachings and not the teacher.